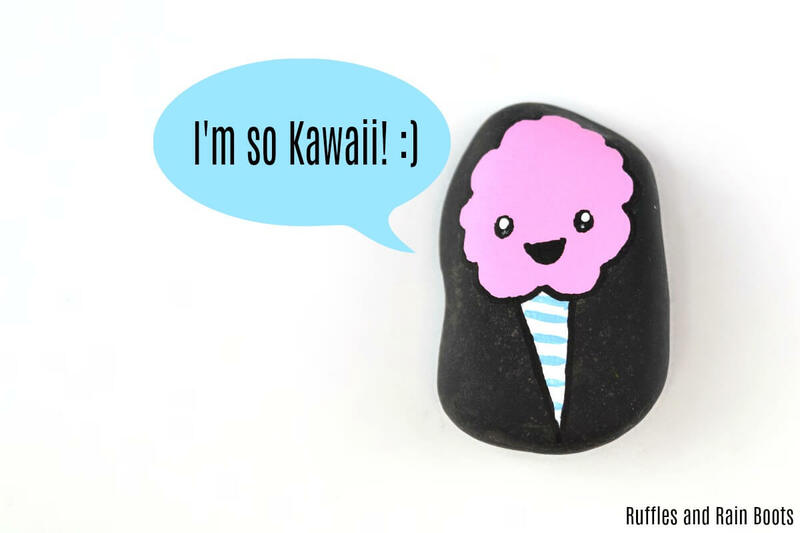 You are here: Home / Rock Painting / Kawaii Rock Painting Food Story Stones – Adorable Foodie Fun! 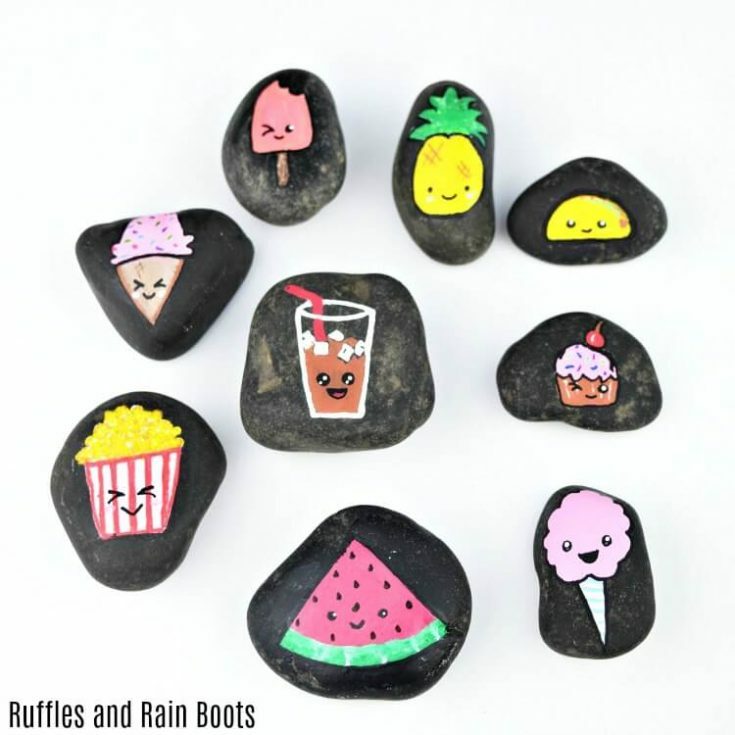 Kawaii Rock Painting Food Story Stones – Adorable Foodie Fun! These kawaii rock painting food story stones are so adorable! 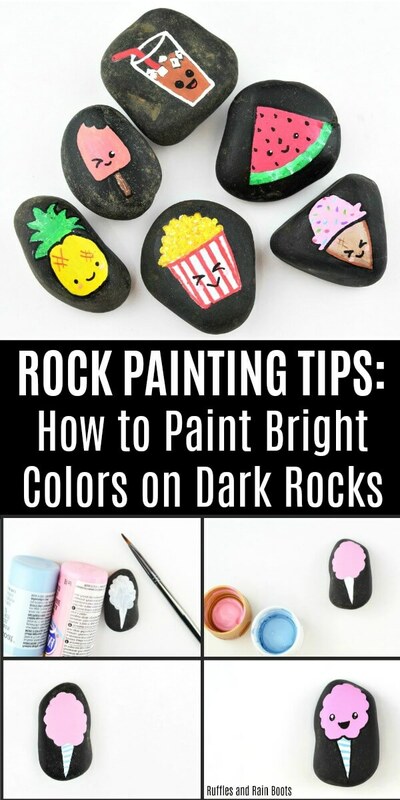 Perfect for a kid’s craft, let’s get started with this fun rock painting idea. I’m sure it’s the same with all kids – they find something they like and then absolutely everything becomes about that one thing. 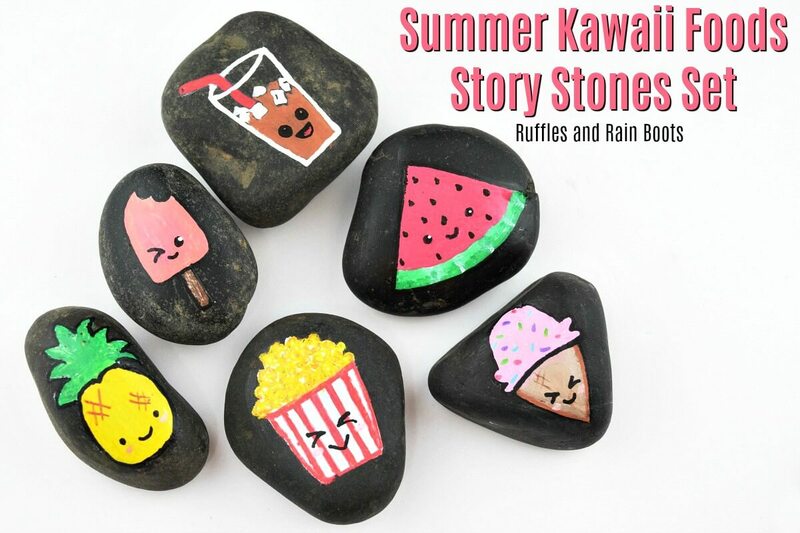 Kawaii Weather Story Stones – Makes Such a Great Gift! If you’re a rock painter, you know the materials matter. We’ve created a piece of art to be placed inside and pampered and have made rocks to withstand the weather. Either way, the right supplies can make or break the project. For our stones, we chose bright colors and food that made my daughter happy. Basically, it’s all the junk food she doesn’t get to eat! 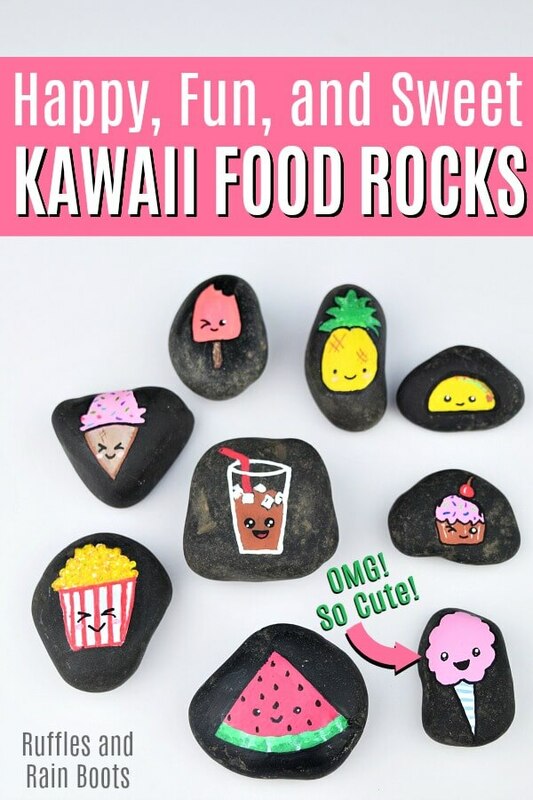 Kawaii Rock Painting Food Story Stones - Adorable Foodie Fun! These kawaii rock painting food story stones are so adorable! 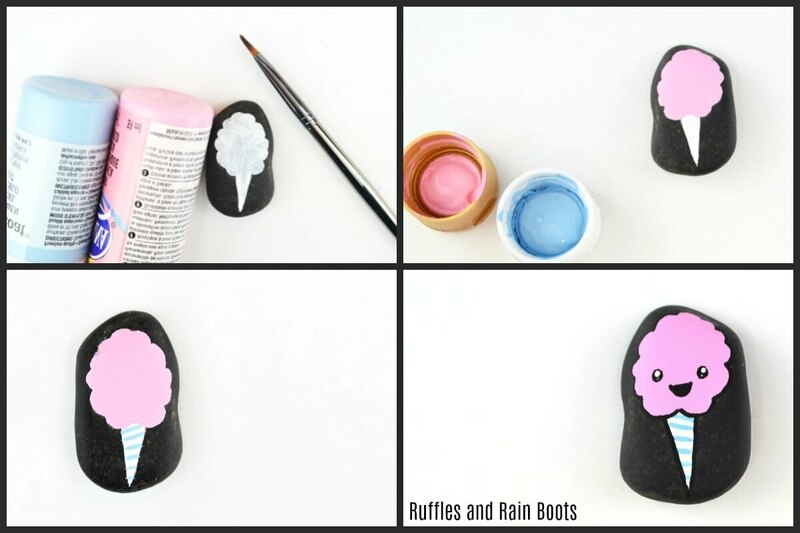 Perfect for a kid's craft, let's get started with this fun rock painting idea. Using a pencil, lightly draw (or trace) a design. If using dark rocks like we did, fill in the entire drawing with white acrylic paint. It doesn't have to look good. Color in your primary colors and accents. Once dry, top with cute Kawaii faces. Cover any paint pens in ModPodge. Let dry and then seal the rock with polyurethane. Do you love the Kawaii rocks? I must admit, though it’s my daughter who brought this trend to me, I have really grown to love their adorable little faces. RELATED READING: Dog Rock Tutorial – Anyone Can Draw a Puppy Rock Painting!